The second generation. California organic. USDA organic. Gluten free. Peanut free. Tree nut free. Newman's Own Organics is proud to partner with US Certified Organic Farms and processors whose commitment to certified organic practices make these fine organic dried fruits available to you. Your purchase of this product supports their efforts. Thank you. What did the grape farmer whisper to his organic grapes each night? Good night little ones. 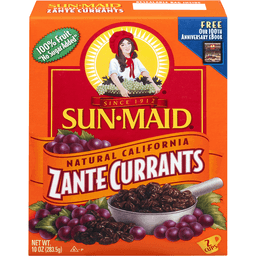 You're my raisin d'etre. 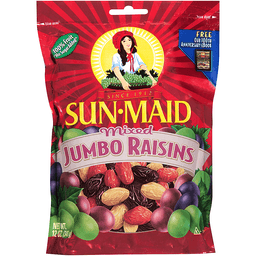 Ever since I was a little girl, I loved raisins. To me, they tasted like edible sunshine with just the right amount of sweetness. That's why I'm pleased to present these plump, juicy bites or organic bliss just right for little hands. 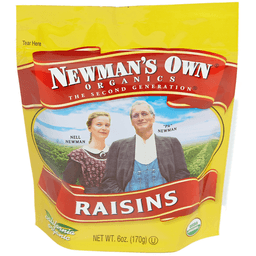 Like all Newman's Own Organics products, our delicious raisins are created using certified organic practices so you can feel good about sharing them with your family. Be good to yourself. Be good to the earth. - Nell Newman. Certified organic by Oregon Tilth. www.newmansownorganics.com. Product of USA. 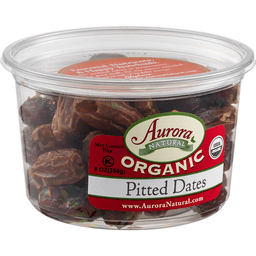 Aurora Natural™ Organic Pitted Dates. Essential nutrients & happy tastebuds. No artificial colors or preservatives. Just the good stuff, the way nature intended. Packed full of healthy energy. Stephanie. Learn more at www.auroranatural.com. This container is made from 50% post-consumer recycled material. Certified organic by Nofa-NY. 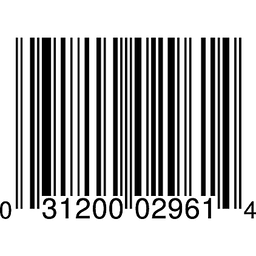 Certified Organic, LLC. USDA organic. www.auroranatural.com. USDA organic. www.AuroraNatural.com. Essential Nutrients & Happy Tastebuds: No artificial colors or preservatives. Just the good stuff, the way nature intended. Packed full of healthy energy. - Stephanie. Learn more at www.AuroraNatural.com. 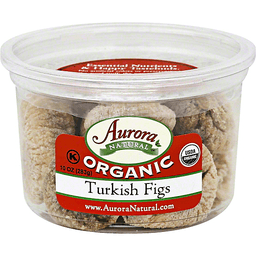 Light sugar coating is a natural occurrence with figs. www.auroranatural.com. Certified organic by NOFA-NY. 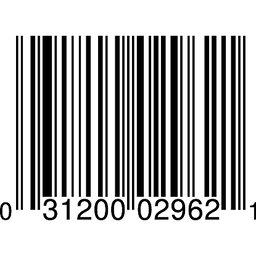 Certified Organic, LLC. Product of Turkey. Organically grown. USDA organic. 1 bag = 1/3 lb fresh fruit. Est. 1985. 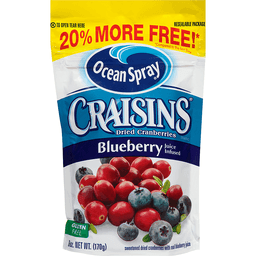 100% natural crunchy & delicious freeze-dried fruit. No additives. No preservatives. No sweeteners. Non GMO Project verified. nongmoproject.org. 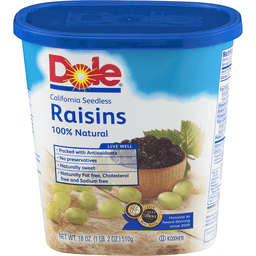 A delicious snack, topping or recipe ingredient! Farm fresh raw produce. Nothing's more scrumptious than sweet, juicy organic strawberries mingled with ripe organic bananas. 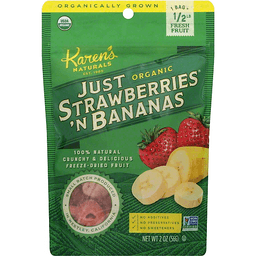 Picked fresh and dried at low temperatures to preserve flavor and essential nutrients, Organic Just Strawberries & Bananas make a delightfully crunchy treat. 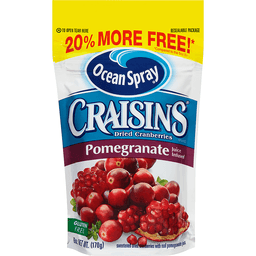 Add them to cereal, oatmeal, smoothies or pies for an intense burst of flavor. As fifth generation farmers, our roots grow deep in California's Central Valley, where healthy foods are simply a way of life. As a girl, I watched my Nonna cook food picked from our family farm-meals that were fresh, wholesome and bursting with flavor. Now, with Karen's Naturals, we're pleased to share our bounty with you: delicious, farm-fresh produce grown with love. - Karen. Freeze-dried. No additives, preservatives or sweeteners. Naturally gluten, dairy, wheat and nut free. Find delicious recipes, gifts and more at www.shopkarensnaturals.com. Certified gluten-free. Farm-to-table fresh since 1985, Just Tomatoes is now Karen's Naturals. Enjoy! Certified organic by QAI. Small batch produced in Westley, California. Product of USA. 100% natural. Crunchy & delicious. A super tropical delight! From the heart of nature! No additives, preservatives or sweeteners. Naturally gluten, dairy, wheat and nut free. 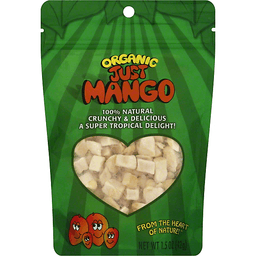 If you love the taste of mangos, with an intensely concentrated flavor and crunch, then our mangos are for you! 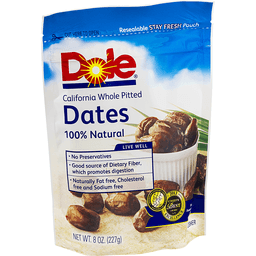 They're really great when added to smoothies, but we know you'll also enjoy them as a snack right out of the bag. Float a few in tea, juice or water for a lovely twist. They taste just as good as fresh - from the heart of nature! The contents of this pouch are equivalent to approximately 2-3 fresh mangos. Here's to healthy. Certified organic by QAI. Absolutely nothing added - just mangos! Family owned & operated since 1985 by fourth & fifth generation farmers in California's beautiful central valley. Filled by weight not volume. Some settling will occur. 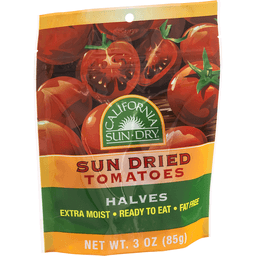 Visit our website at: www.justtomatoes.com to find a store near you, nutritional information, recipes, gifts and more! Product of Ecuador, Costa Rica, Mexico and Peru. 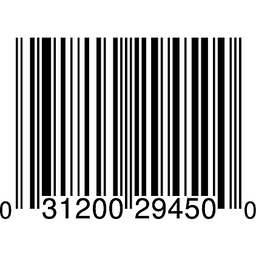 Packaged in the USA.